Home > 2001 > Authors > Bible Study > Lynnford Beachy > Newsletters > November 01 > Prophecy > Prophecy Q&A > Questions and Answers > A Special Ressurection? You brought up a very good point. It seems that the trouble you are having is with the understanding of Revelation 1:7. Let us notice some things about this verse. “Behold, he cometh with clouds; and every eye shall see him, and they also which pierced him: and all kindreds of the earth shall wail because of him.” (Revelation 1:7) The word “every” was translated from the Greek word paV. This Greek word was used 1243 times in the New Testament. Let’s notice a few verses where this word was used. Jesus said, “And ye shall be hated of all [paV] men for my name’s sake: but he that endureth to the end shall be saved.” (Matthew 10:22) Does every person hate you? Certainly not! John wrote about the second beast in Revelation 13, saying that, “he had power to give life unto the image of the beast, that the image of the beast should both speak, and cause that as many as would not worship the image of the beast should be killed. And he causeth all [paV], both small and great, rich and poor, free and bond, to receive a mark in their right hand, or in their foreheads.” (Revelation 13:15, 16) Will this power be able to cause every person in the world to receive the mark of the beast? Certainly not! The Bible says there will be 144,000 who will not accept the mark of the beast. Of John the Baptist Mark wrote, “And there went out unto him all [paV] the land of Judaea, and they of Jerusalem, and were all [paV] baptized of him in the river of Jordan, confessing their sins.” (Mark 1:5) Was every person in Jerusalem and Judaea baptized by John in the river Jordan? Certainly not! Some of John’s disciples came up to him and said, “Rabbi, he that was with thee beyond Jordan, to whom thou barest witness, behold, the same baptizeth, and all [paV] men come to him.” (John 3:26) Did all men in the world come to Jesus at that time? Certainly not! So it is possible for Revelation 1:7 to mean that when Christ comes the second time, every eye shall see Him that is alive on the earth at that time. This does not have to include everybody who has ever lived on this earth in the past. It is certain that everyone on the earth at the time of Christ’s second coming will see Him come. Jesus said, “Wherefore if they shall say unto you, Behold, he is in the desert; go not forth: behold, he is in the secret chambers; believe it not. For as the lightning cometh out of the east, and shineth even unto the west; so shall also the coming of the Son of man be.… And then shall appear the sign of the Son of man in heaven: and then shall all the tribes of the earth mourn, and they shall see the Son of man coming in the clouds of heaven with power and great glory.” (Matthew 24:26, 27, 30) Notice the last portion of this text that is in bold letters. This is almost word for word with what it says in Revelation 1:7. Everyone living upon the earth at that time shall see Him come. This, however, does not require God to raise from the dead all those who have died in the past for them to see Him come. So in order for there to be some wicked people, who have died long ago, alive when Christ comes, there must be a special, small resurrection before the second coming of Christ. The twelfth chapter of Daniel seems to indicate this as well. Here we read, “And at that time shall Michael stand up, the great prince which standeth for the children of thy people: and there shall be a time of trouble, such as never was since there was a nation even to that same time: and at that time thy people shall be delivered, every one that shall be found written in the book. And many of them that sleep in the dust of the earth shall awake, some to everlasting life, and some to shame and everlasting contempt.” (Daniel 12:1, 2) Here it says that many people will be resurrected, but it does not say “all.” Of those people who will be resurrected, the Bible says that some are raised to everlasting life, and some to shame and everlasting contempt. There will be some righteous, and some wicked raised at this time. This must take place just prior to the second coming of Christ in order for those who pierced Him to be able to see Him when He comes. Here again we read of a resurrection where many people arose from the dead. 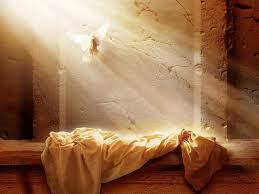 In this case, the righteous were the only ones who took part in this resurrection. This was a special resurrection that took place long before what the Bible calls “the first resurrection” takes place. Christ did not come to earth with the clouds of glory at this special resurrection, and there is no record that He will come at the special resurrection of those who pierced Christ. When Christ comes the second time, then all the righteous dead will be resurrected. I hope this helps to answer your questions regarding this topic.